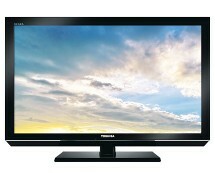 Tired of watching all you favorite shows on you small TV but you don’t want to spend a fortune on a big flat screen TV? What if you could enjoy everything in Full HD quality on a 40” TV without ending up with an empty wallet? 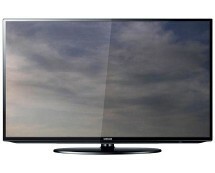 All this just became possible thanks to the hot deal on the Sharp LC-40SH340K TVoffered by sainsburys.co.uk. 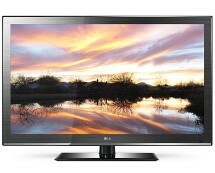 Get this 40” cheap LCD TV for only £279.99 at sainsburys.co.uk. Sharp LC40SH340K TV Any Good? The Sharp LC-40SH340K is a budget TV aimed at the casual user who only wants to have an enjoyable TV watching experience. Don’t expect to find sophisticated and unnecessary functions, because there aren’t any. What you will find, though, is that you can enjoy high-definition content without spending a fortune. 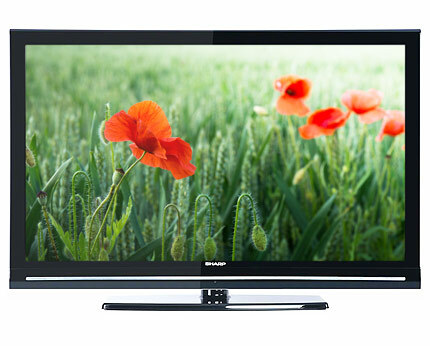 The Sharp LC-40SH340K features a 40” LCD display capable of displaying Full HD 1080p resolutions. The contrast ratio of 3,000:1 along with the brightness of 350cd/m² and the 3D Comb Filter picture enhancement engine deliver a surprisingly qualitative image for a budget TV. The 150° viewing angle is not impressive but it’s not disappointing either, comparable to other TVs in this category and price range. As an image source you can use the integrated Freeview HD tuner to watch HD content or simply plug a Blu-ray player in one of the two integrated HDMI ports and play your own Full HD content. You’ll also find a USB 2.0 port that allows you to plug in an USB thumb drive and enjoy multimedia content such as photos, music or videos. A very interesting feature is the ability to record your favorite shows directly to an USB thumb drive, which is basically a budget alternative to the classical PVR function found in more expensive TVs. The main advantage of this is that you are not limited to the amount of content you can record, as in the case of a classical PVR system with an integrated hard drive – simply unplug the USB thumb drive when full and plug in another one and you’re good to go. The Sharp LC-40SH340K comes with two 6W integrated speakers but if that’s not enough for you, you can acquire a more powerful audio system and connect it to the TV by using the coaxial audio output. You can also connect a PC to the TV by using the integrated D-Sub connector and various other devices by using the additional component and SCART connectors. A Parental Lock feature is present, as well as an electronic program guide that allows you to schedule programs for a 7-day period. Add the Sleep Timer function and the Teletext and you’ll see that, for a budget TV, the Sharp LC-40SH340K actually offers pretty much. The design of the TV is not out of the ordinary and might be the only thing that will betray this TV, indicating that it is a budget TV, due to the thicker frame around the display. However, if compromises needed to be made, it’s better that they were made to the design instead of the image quality. Update: This offer has expired. 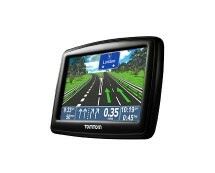 Fortunately, coopelectricalshop.co.uk has an attractive price on the LC40SH340K. Get it for £299.99 here. USB Playback – supports video, music and photo file formats. No DivX Playback.